To be restless is to be human. And with this restlessness comes the theme of Anton Checkov’s The Seagull. 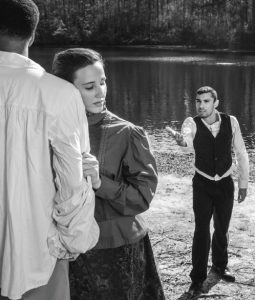 The classic play opens on Regent University’s Studio Theatre stage in the Communication & Performing Arts Center on Friday, March 3-5 and continues the following weekend, March 10-12. Friday and Saturday performances begin at 7:30 p.m., with Sunday performances beginning at 2:30 p.m. Though the show’s lamenting and restless characters first ground on her nerves, the more she familiarized herself with the production, the more she began to identify herself and those she loves within them. Learn more about Regent University’s School of Communication & the Arts and visit the University Box office.